These concert promotions leverage all the mystique surrounding this artist and his ‘ghosted’/aborted album. Arguably the black sheep of the neo-soul era, Bilal has always been somewhat of an enigma and his return to the limelight after nearly a decade was no exception. 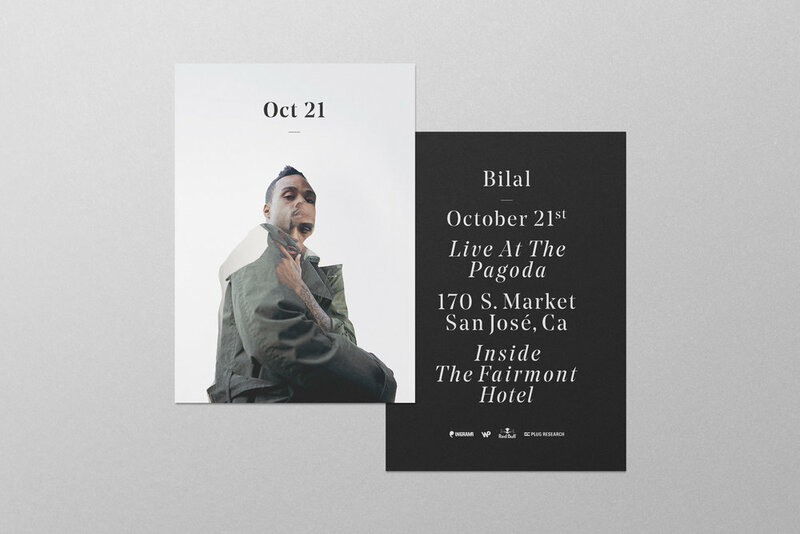 With this performance marking a much anticipated appearance, Bilal was fresh out the shadows of a mysteriously leaked album that got nixed by his label despite critic acclaim. For the feature images, I resurrected photos from the tragically shelved album and superimposed them against current ones, creating a ghostly appearance. 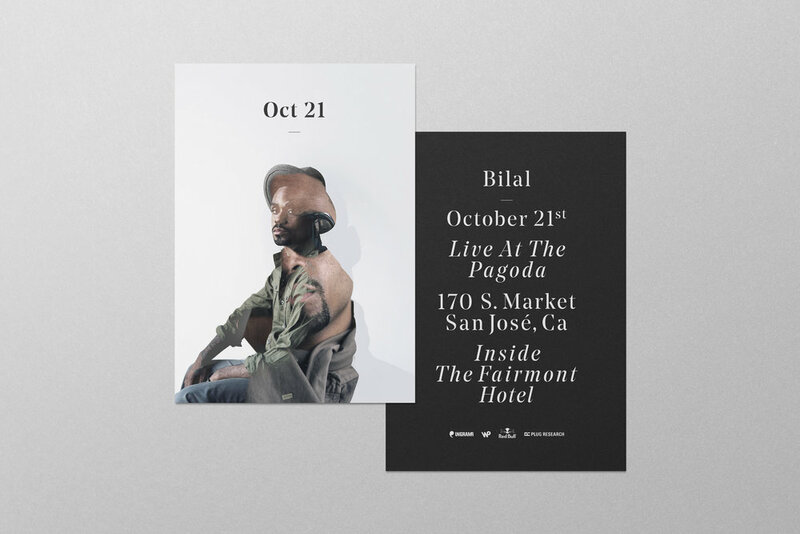 The result is a series of promotional pieces that evoke the elusive sense of mystique Bilal has become known for with his haunting vocals and psychedelic brand of soul music.